Although Wake Forest students are already deep into their fall semester, the warm summer weather has yet to leave campus. Quad Fashion features functional and fashionable outfits that are perfect inspirations for soaking up the last of the heat. Freshman Emily Tiensch takes inspiration from the warm weather with her yellow floral sundress. Paired with blue sandals, the flowy piece is perfect for the 90-degree weather. 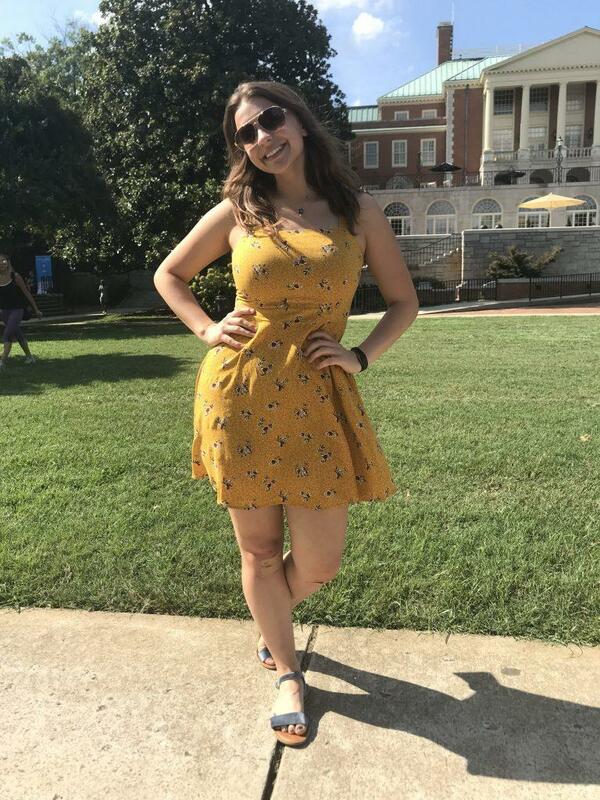 Although Tiensch credited her friend with picking out the outfit, she still achieved a quintessential look for the beginning of fall semester. With sunglasses on hand, this is a reliable choice for the season. 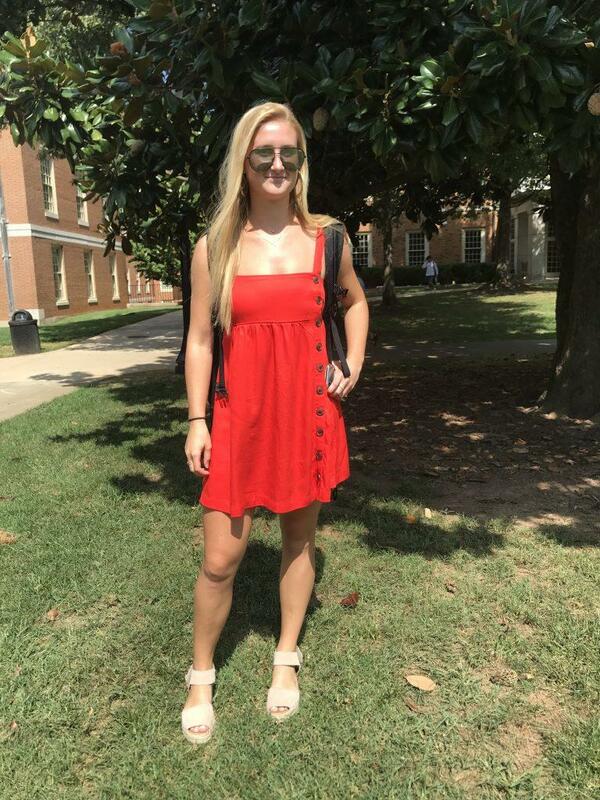 Taking advantage of the warmth before autumn rolls around, sophomore Caroline Swimmer rocks a red dress with buttons running down the side. She vamped up the look with tan jute platforms. Finishing off with sunglasses and a simple necklace, Swimmer’s outfit is an easy way to feel comfortable in the heat while also incorporating stylish elements with bright colors and accessories. 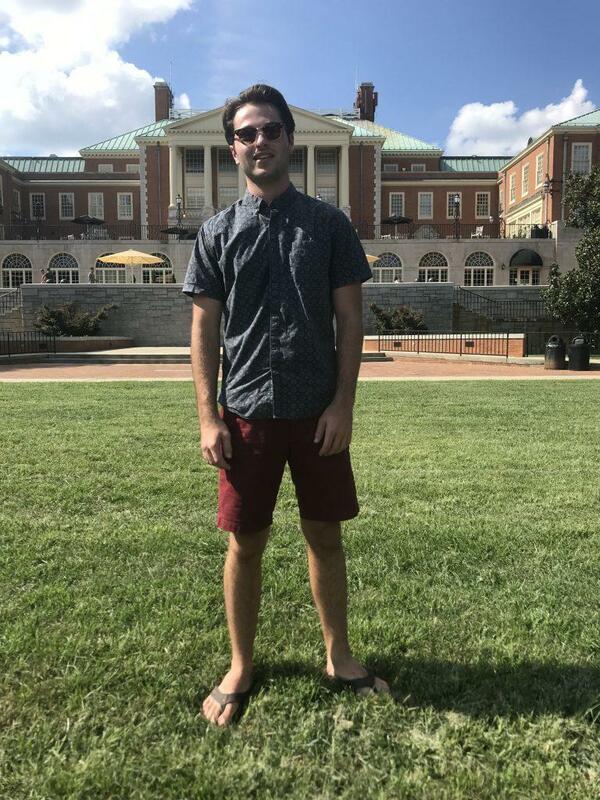 Although most male students opt for t-shirts and gym shorts during warm weather, sophomore Noah Collier chose a collared navy shirt and maroon shorts. With a pleasant pattern, his shirt stood out among Wake Forest gear and sports jerseys. Collier kept it casual with his flip flops and Club Master sunglasses, making his outfit both fashionable and functional for a long school day. Embracing the breezy heat, sophomore Paige Gladstein wears a staple pair of flowy, light blue shorts paired with a ribbed white tube top. With a pair of gold sandals and round sunglasses, Gladstone’s outfit can easily transition from the classroom to the quad. Her look is finished off with a reusable cup, perfect for an iced coffee or fruit smoothie on a warm, sunny September day.